October 6, 2015 by John P.
TRENDnet’s new AC1200 WiFi Range Extender may just be one of the simplest networking devices ever created. It’s so easy to set up, anyone could do it. I was going to say a child… but we all know children can do all sorts of things that adults can’t nowadays. So yes – even YOU could do it. They promise a device you can plug in just about anywhere in the home or office to simply extend the range of your existing wireless network with almost no setup involved. Furthermore, they claim it would work with virtually any networking equipment on the market. I could wrap up this entire review right now and just tell you – they ain’t kidding! Because I opened the package, plugged the device in near my existing router (which happens to be an Asus RT-AC68R), pressed the WPS buttons on both devices, and BAM! It was done. Only there wasn’t really a BAM. It was totally uneventful. Then I carried the TRENDnet AC1200 Range Extender half way across my home, plugged it in, and it just worked. End of story. So right there, if you need the simplest possible way to increase the range in your home or small office, you can pick one of these babies up on Amazon for under $85 and just be done with it. 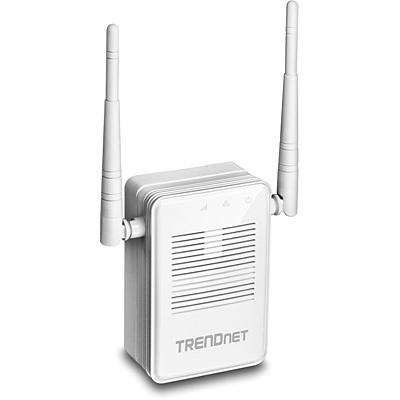 Now you can extend a network with the TRENDnet AC1200 WiFi Range Extender in one of two ways. 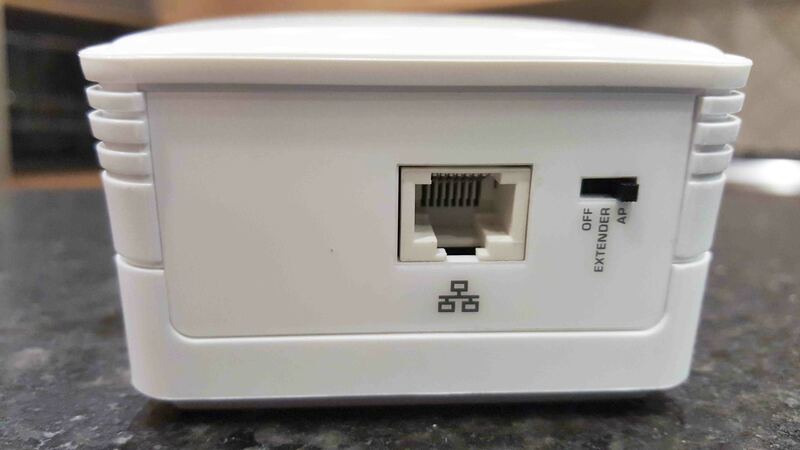 Either use an ethernet cable to reach some far off location and plug it into the device so your backhaul to the primary router is wired (and that is the best option), or you can just connect by putting the device within range of the existing WiFi network and acting as an extender. Traditionally, when you extend a network wirelessly you run into a situation where bandwidth is diminished by 50% for every hop away from the router. And I believe that effect occurs with this unit though I can’t confirm it completely. What I do notice is that when I connect to the TRENDnet Range Extender it doesn’t achieve the same throughput as when I connect directly to the central router. But that’s ok. I tested the unit in my home, where I have a single Wireless AC network access point, as well as a Wireless N Mesh Network. Without the TRENDnet Range Extender only about 50% of my rather large house could reasonably reach the AC access point. The rest of the home is far better off accessing the Mesh network. After setting up the TRENDnet unit, a new access point was automatically brought online, and on a different frequency than the original network. This image tells the story nicely. You can clearly see multiple access points called “TheMesh” which are distributed in different locations. The “Extreme” network is the AC network I was extending, and you can see the original access point represented on the Channel 6 location, with the new access point on the Channel 10 location – a full 30 dBm higher in signal strength. That extra 30dBm of strength has a profound effect on range and speed. In the farthest corner of my home, a connection to the original router is at times impossible, and at times just shakey. When connected, speeds to SpeedTest.net average between 1-3Mbps. However after installing the Range Extender, and without doing anything other than walking back to the same point, speeds shot up to between 40-60Mbps. So I’d say that $85 and about 10 minutes or work would easily be worth it. When you initially set the device up, if you are using WPS mode (which I highly recommend) you’ll want to do it nearby your router. 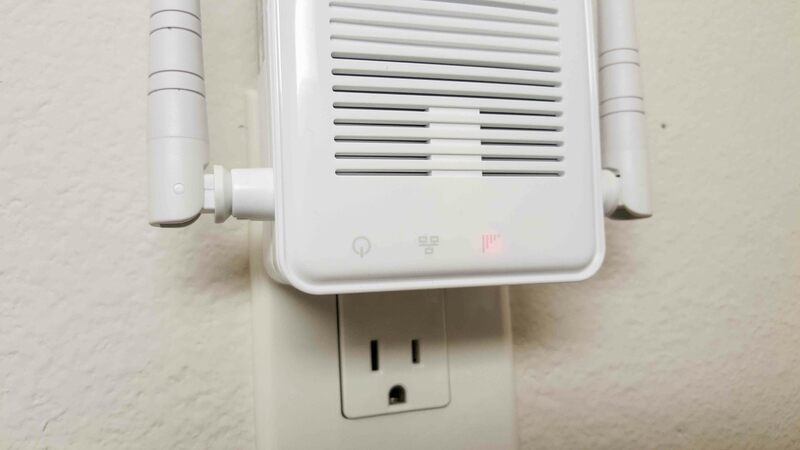 After pairing the two devices you’ll see a green WiFi access bar indicator on the Range Extender. You can then unplug it and move it to a new location, and after doing so if the signal is too weak it will give you a red indicator. If that’s the case, move it somewhere a little closer and try and get a green indicator. But here’s the trick. After you plug it in, test your speeds from the main locations you know you want to use devices and try moving the access point to a couple of other locations. Electrical interference, walls, and God knows what else can affect your speeds, so sometimes the best location is not necessarily the intuitive one. If you happen to have an OLD router that doesn’t have a WPS button on it, I would actually recommend that you upgrade that device before you try this range extender. It’s possible that your crappy old router is in a location that would be just fine if you had a new higher power one. If you absolutely have to use a router that doesn’t offer WPS, it’s ok. TRENDnet has given you a manual option that involves connecting the device to a computer with the ethernet adapter and setting things up through a Web interface. It’s rare that I give an enthusiastic thumbs up to any device, but my experience with this Range Extender was so simple that it’s impossible not to. From now on when people begin to tell me a story about their challenging WiFi network I’ll probably just cut them off and ask if they’ve tried the TRENDnet Range Extender. If not, I’ll refuse to listen to their story any further until they do. 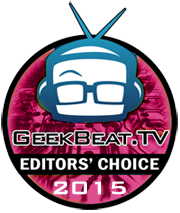 So, for that reason TRENDnet earns a well-deserved Geek Beat Editor’s Choice Award. I’m sure you understand this John P. but likely some readers will not. The graph is your article shows your “Extreme” Router on channel 6 and your “Extreme” Extender on channel 9, indicating that you’re using the 2.4 Ghz band. However 802.11ac only operates on the 5 Ghz band.